HOUSING LAW: helping tenants in landlord-tenant and subsidized housing cases. FAMILY/IMMIGRATION LAW: helping survivors of domestic violence in Civil Protection Orders, family law cases (like custody and divorce), and immigration cases (like VAWA self-petitions, U visas, and SIJS), plus helping custodial and non-custodial parents in child support cases. PUBLIC BENEFITS LAW: helping individuals facing problems with getting or keeping public benefits, like TANF, Food Stamps, and Medicaid. Learn more about how the Justice Gap impacts the low-income community. How was your visit with Legal Services? Use our Client Comment Form to share your thoughts. Access to justice should not be limited by one’s ability to pay for help. Unfortunately, 86% of low-income households in the United States receive little or no help with civil legal challenges. • Organize to achieve legal solutions to effect systemic change on community-identified issues. Call our Legal Clinic today! Call Monday through Thursday, 9 am to 5 pm. Please note that Bread for the City cannot guarantee representation in your matter. Appointments are available on Monday afternoons only. When appointments are unavailable, we give referrals to other groups that may be able to provide free legal information, advice, or representation. The Accessing Identifying Documents Project helps residents who hit barriers in getting a DMV-issued ID, which is necessary to pursue critical opportunities like employment and housing. The Child Support Community Legal Services Project, in partnership with the Legal Aid Society of DC (Legal Aid), provides same-day advice and representation to parents at a critical stage of their child support case. Our attorneys often meet these new clients for the first time in court. The Community Lawyering Project uses legal advocacy and organizing to help achieve solutions to community-identified issues in ways that develop local leadership and institutions that can continue to exert power to effect systemic change, including representing groups of tenants in preserving affordable, safe housing in the District. 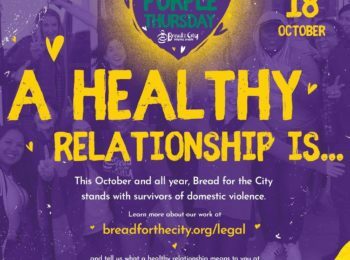 The Domestic Violence Community Legal Services Project staffs an office once a week at the Domestic Violence Intake Centers in NW and SE DC and offers necessary legal services to individuals experiencing domestic violence. The Housing Right to Counsel Project, in partnership with Legal Counsel for the Elderly and Legal Aid, expands access to representation to tenants at risk of eviction and losing an invaluable housing subsidy that is the only way they can afford to live in the District. 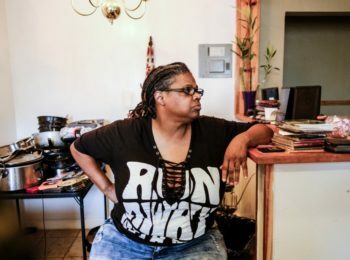 The Landlord-Tenant Court-Based Legal Services Project, in partnership with Legal Aid, offers same-day advice and representation to tenants facing eviction from their homes in a part of the court where 90-95% of landlords are represented by an attorney and only 5-10% of tenants have an attorney by their side.